Executive Director of Sports and Entertainment Pete Garcia introduced the new men’s basketball head coach, Jeremy Ballard, to the media on Monday at Ocean Bank Convocation Center. “We did our research and got who we believe is going to be a very successful head coach for the basketball program. He’s been successful everywhere he’s been. He has a track record of not only recruiting top basketball players, but also developing them, getting them to the next level and graduating them,” Garcia said. 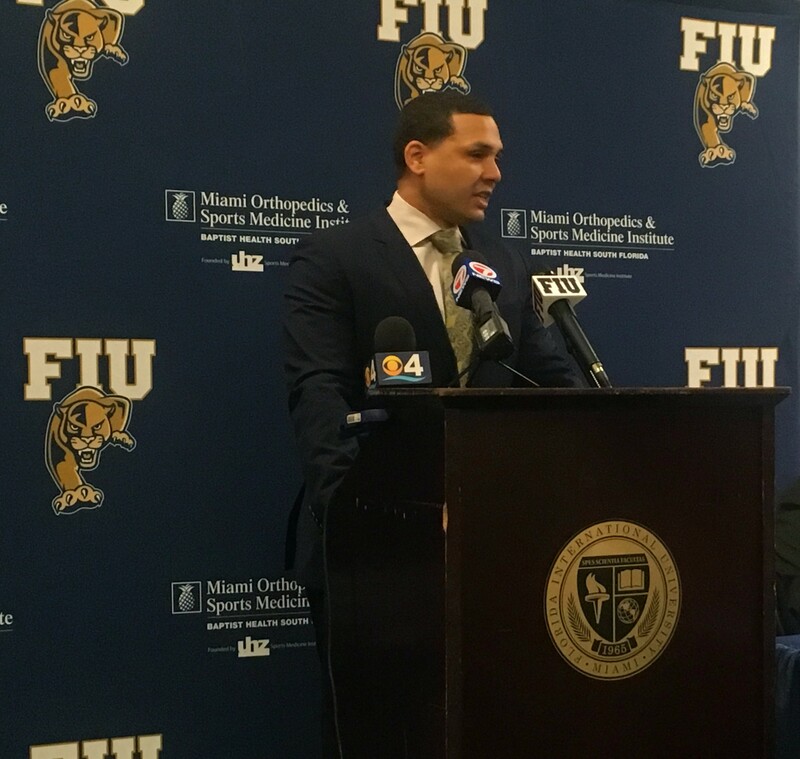 Ballard arrives at FIU after serving as associate head coach at Virginia Commonwealth University in 2017-18. The Rams compiled an 18-15 overall record last season. “I’ve always thought about the capabilities of this program and where it can go. I felt extremely fortunate that they had interest in me because there are coaches all over the country that want the opportunity to be in Conference USA and to be at a wonderful growing university like this,” Ballard said. A few returning players were present at the news conference to see their new head coach. Ballard becomes the ninth head coach in the program’s history. He replaces Anthony Evans, whose contract was not renewed after he led FIU to a 14-18 finish in 2017-18.